Are Solar Powered Drones the Future of Sustainability? Are Solar-Powered Drones the Future of Sustainability? With technology leaping forward every day, many companies are seeking new ways to provide efficient, sustainable, and effective solutions. Their answer? Solar powered drones. 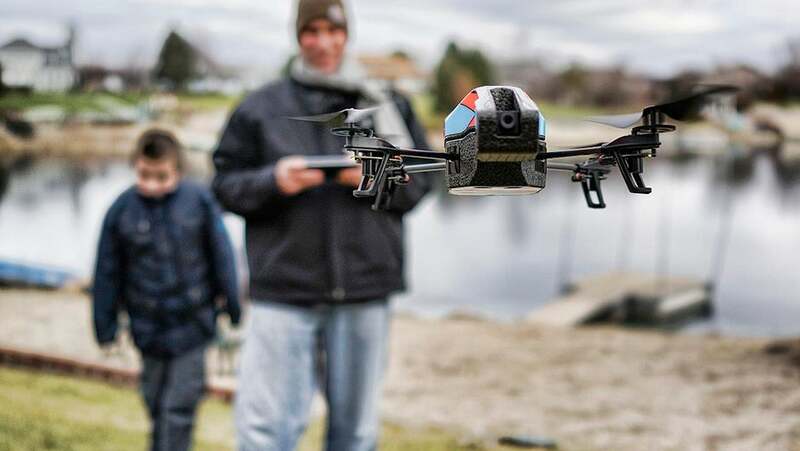 As drone technology has improved, their accessibility has increased dramatically as well. Consumer models start as low as $50. However, drones are also becoming an incredibly useful production tool. Solar-powered drones in particular are being used increasingly in agriculture, for monitoring climate change and environmental effects, and in delivery services. According to MIT Technology Review, low-cost drones are increasingly used by farmers to monitor crops. In the past, farmers would often employ manned aircraft at a cost of up to $1,000 an hour to fly over crops and observe patterns in irrigation, erosion, and pest and fungal infections. Now, many farmers are turning to solar-powered drones, which can be bought outright for the same $1,000. These drones fly just meters above their crops, offering a close-up view and crop data that’s never been utilized before. Since the drones cost significantly less than a manned aircraft to use and maintain, farmers can fly over their crops daily, weekly, or monthly, essentially creating time-lapsed images. These images allow the farmers to accurately track crops and monitor any changes. With the rise in data-driven agriculture, this ability to gather information quickly and sustainably allows farmers to optimize growth and minimize labor. Oliver Wyman claims that precision agriculture will eventually make up 80 percent of the Unmanned Aerial Vehicle (UAV) industry by 2035 and could reduce fertilizer use by up to 40 percent. Increasingly, solar powered drones are being used in conservation and environmental preservation efforts. AeroVironment’s “Puma” drone is the first to be cleared by the Federal Aviation Administration (FAA) for use. The quiet, low-flying drone is currently used for oil pipeline monitoring and environmental monitoring in sensitive ecosystems. “Puma” is also monitoring ice floe activity and has been used to record and document the ecological impacts of oil spills. With a significantly lower carbon footprint, lower noise level, and low profile design, “Puma” is able to observe while creating less of an environmental disruption in the area. Insitu, a subsidiary of Boeing, is also creating drones specifically designed to monitor power lines, track environmental changes, and assist in fighting forest fires. In addition to their use in global sustainability efforts, solar powered drones are gaining traction in the delivery and service provider industries. Rwanda is set to receive the world’s first droneport, with ground being broken this year, 2016. The droneport will allow rural areas to receive key supplies like medicine and food, with some drones carrying payloads of up to 100 pounds. Companies like Amazon Prime are seeking to employ drones in their delivery services. In 2014, Amazon launched Prime Air, delivering packages via drones in 30 minutes or less. Amazon’s solar powered drones will reduce the company’s fuel consumption significantly. Beyond sustainably delivering goods, businesses use solar powered drones to provide services, such as Internet, in rural areas. Modern Internet lines can cost up to $40,000 a mile. However, companies like Facebook are developing ways to provide Internet without costly lines and physical infrastructure. Facebook’s current project, the “Aquila” drone, would provide Internet to a large rural area without any physical lines. The drone is designed to run solely on solar power and can fly up to three months at a time. Facebook plans to create a network of such drones, creating a vast area of wireless service. The drone would operate up to 80,000 feet in the air, well above commercial airlines and the hazardous effects of weather. Other companies, such as Titan Aerospace, are on the heels of Facebook and have their own Internet-providing drones in the works. Much like satellites, solar powered drones offer a sustainable way to provide goods and services to remote areas quickly and effectively. Currently, satellites provide wireless Internet to huge areas of rural land. They survey and report on terrain changes and environmental conditions, as well as weather patterns. And because they have a low reliance on fossil fuels, both satellites and solar powered drones present an eco-friendly choice for a variety of services, at nearly the same cost as other, less eco-friendly options.